Disney’s streaming service is launching head-to-head with Apple’s, and has set a price ceiling that Apple should not break. Disney has finally taken the wraps off its streaming service, Disney+. The service will launch on November 12, 2019 in the U.S. and follow overseas at a later date. Priced at $6.99 per month or $69.99 per year (a 20 percent discount), it appears to offer exceptional breath of content and value, which hast earned it high praise from both investors and cord-cutting fans online. Everyone from exhausted parents to Star Wars fanatics is chomping at the bit to sign up, and Apple would do well to take notice as it fleshes out its own Apple TV+ service. 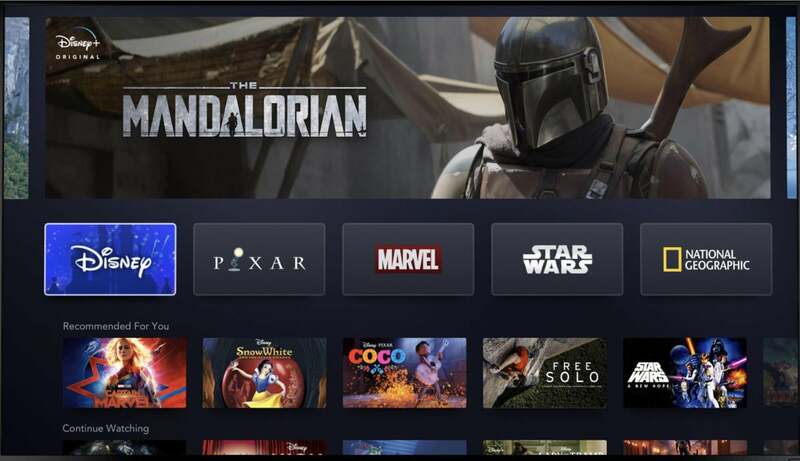 What does your $7 a month buy you with Disney+? 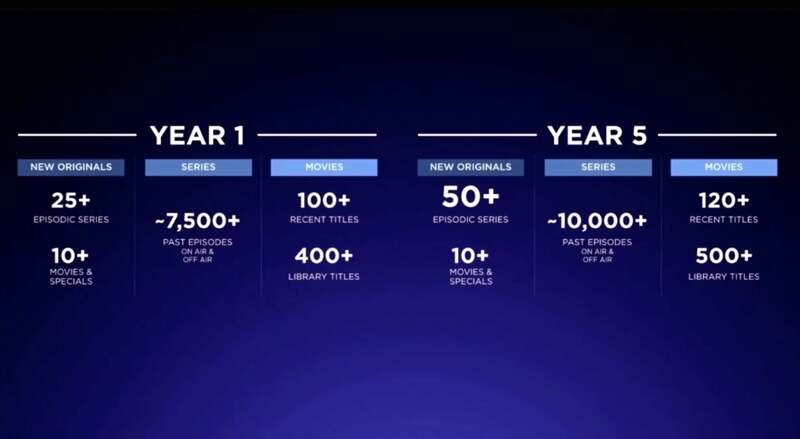 In the first year, the service will offer over 500 movies, including 100 or more “recent titles.” You’ll also have access to 7,500 television episodes, including lots of stuff from the recent Fox acquisition, such as every episode of The Simpsons and Malcom in the Middle. Disney+ is going to have tons of content, new and old, for $7 a month. But Disney+ isn’t only about the back-catalog. Disney’s lineup of original content made exclusively for the service looks stronger than expected. Marvel’s bringing its movie stars to the small screen with The Falcon and The Winter Soldier (Anthony Mackie and Sebastian Stan), WandaVision (Elizabeth Olsen and Paul Bettany), and Loki (Tom Hiddleston). The Star Wars stuff is coming in hot, with The Mandalorian helmed by Jon Favreau, and plans for a series with Diego Luna reprising his role as Cassian Andor from Rogue One: A Star Wars Story. All told, Disney will stream 25 shows and series across its many brands in the first year, and double that by year 5. That will be bolstered by more than 10 original movies, including a live-action Lady and the Tramp. 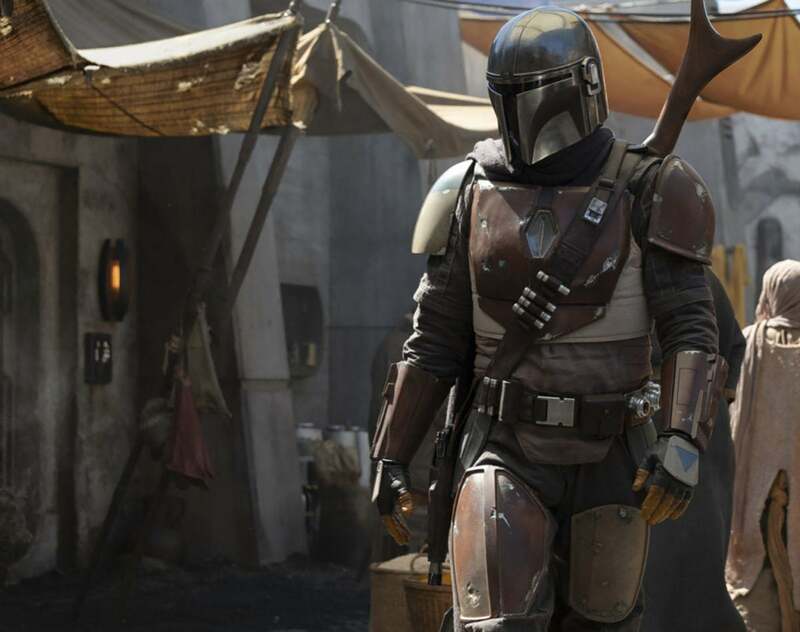 Star Wars originals like The Mandalorian will bring fans flocking to Disney+. Disney promises that content will be downloadable for offline viewing (critical for handing your iPad to the kids in the back seat of the car or on a plane), and quality will scale up to 4K with HDR where available. It’s a very extensive offering at a price below even the cheapest Netflix plan, and less than half the price of the plan that gives you 4K HDR quality ($15.99 per month). We know Apple TV+ is launching this fall, and we know Apple’s working on over 30 original shows and movies. We’ve only gotten to see a very short sizzle reel of a handful of them. Certainly, a good percentage of these shows will not all be available at the launch of Apple TV+. Apple can’t compete with this wealth of big-brand content for $6.99 a month, and shouldn’t try to. But we still don’t know some important details about the Apple TV+ service, such as the exact launch date or the price. As Apple firms up its plans, it would be wise to take note of the gauntlet Disney has thrown down with Disney+. Disney’s offering appears to have the same scope of original new content as Apple’s, only aligned around hit Disney-owned properties like Star Wars, Marvel comics, and Pixar, plus the ton of popular Fox stuff the company just acquired. Apple’s original content might be of the same or even superior quality, but Disney’s mega-brands hold enormous value to consumers. Frankly, nobody remembers Amazing Stories. And Apple’s going to have absolutely no back-catalog of existing content, as far as we know. It will not carry mega blockbuster movies that were recently in theaters, while Disney will stream Avengers: Endgame and Frozen 2 into your living room. Apple won’t have thousands of hours of TV classics from Fox, ABC, and The Disney Channel. If Apple thought it could charge $9.99 a month (as it does for News+ and Apple Music), that door has now been officially closed. Next to Disney’s offering, it would just make Apple look incredibly greedy and out of touch with consumers. Even matching Disney’s $6.99 price seems like a tough sell at this point. Apple TV+ needs to come in at $4.99 a month or less—but Apple would be wise to go further. Disney+ already looks like a great deal at $6.99, but the company has more up its sleeve. The $69.99 yearly subscription knocks almost 20% off the price, effectively making it $5.83 per month. The company also mentioned the potential to bundle Disney+ with Hulu (of which it owns 60 percent) and ESPN+. That would be very popular in the U.S., though those services aren’t available overseas. Apple would be wise to follow suit and offer yearly subscription discounts for Apple TV+, just as it does with Apple Music. And bundling is a lever Apple could pull even more effectively than Disney. If Apple really wants to win, it should bundle Apple Music and Apple TV+ together for the same $9.99 price. (Spotify recently began offering Hulu included in its $9.99 price.) Apple can do so much more, though. With iCloud storage plans, News+, Apple Arcade, Apple TV+, and Apple Music, Apple has a lot to work with. Apple shouldn’t wait for a competitor to out-bundle them, it should take the lead. The announcement of Disney+ is something of a litmus test for Apple. Apple isn’t one to simply follow whatever its competitors do, but it shouldn’t simply ignore them, either. The company has come under fire recently for price hikes on its products; as a premium brand, Apple will never be the low-cost leader, but the the most valuable company in the world is starting to earn a reputation for being greedy and overpriced. The Disney+ service is a barometer by which we can judge not just the Apple TV+ service, but Apple’s entire attitude toward price and value for its customers. This story, "Disney+ sets a high bar for Apple TV+" was originally published by Macworld.